Authors: Novikova I.A., Chebotareva E.Y., Novikov A.L. The volume entitled Vision and Resources for International Psychology was published in 2018 and dedicated to the 75th anniversary of the International Council of Psychologist (ICP). Editors reminded in the Preface, that ICP was founded in 1941 in New York City, and from its starts has vigorously promoted crossnational psychology. This third ICP anniversary volume contains three parts: (1) about ICP past, its growth, current activities, and summaries of the annual ICP conferences in Yokohama (2016) and New York City (2017); (2) Resources for International Psychology includes seven essays by 12 experts, on how to be more involved in international psychology; (3) Visions of International Psychology from thirty one leaders of global psychology. A brief 2-page review of this book was published recently in International Psychologist (Congress, 2018). In this article, we present a more detailed and comprehensive overview of the volume. Part I. International Council of Psychologists (ICP) This part of the book includes some summaries of presentations at the ICP meetings in Yokohama in 2016 and New York City in 2017, and four brief essays by former ICP presidents. The theme of Yokohama convention in 2016 was “Human Rights and Well-Being”. Anna Laura Comunian, Ph.D., professor emerita and senior researcher of University of Padua (Italy), presented the results of validation of two self-report scales: Padua Moral Judgement Scale (PMJS) and Kindness Maturity Scale (KMS) and the findings of crosscultural investigation of stages of kindness model and moral development model across four countries: Italy, Greece, Chile and Australia. Mostly, invariant factor structures were obtained across cultures for both scales, also, some cultural peculiarities were revealed. Chock C. Hiew, Ph.D., a health psychology professor, researcher and practitioner in Fredericton, in Atlantic Canada, reported on the testing the effectiveness of Qigong training, based on the ancient self-regulation technique, in restoring resilience and health. This data shows that a brief practice of daily 45 minutes of Qigong exercise over four weeks can override clinical depression and anxiety, as well as chronic fatigue, insomnia and pain. Long term practice, according to the report, can strengthen the immune system, overcome post-trauma symptoms, reverse cardiovascular disease and promote healthy aging. Professor Choc C. Hiew also performed the duties of chairman of the symposium in honor of Dr Seisoh Sukemune, professor emeritus of Hiroshima University in Japan. At this symposium Prof. Choc C. Hiew told about his productive collaboration with Dr Seisoh Sukemune in researching the nature of human resilience. Their resilience researches support the relationship between emotional equilibrium and resilience measures to overcome the adversities in life. Florence Denmark, Ph.D., professor of Pace University (USA) presented in brief the long and illustrious history of ICP for the symposium participants. Monty Satiadarma, Ph.D., professor and former rector of Tarumanagara University in Indonesia, spoke about Dr Seisoh Sukemune contribution to educational research. Prof. Satiadarma focused on discussing the reasons of parents who without awareness implement discipline on their children in forms of abusive acts. Among these reasons beyond the implementation of discipline were considered ego strengthening, resistance toward stress and life challenges. Rukhsana Kausar, Ph.D., director of Institute of Applied Psychology and Center for Clinical Psychology in University of Punjab (Pakistan), presented the results of resilience research in Pakistan, which assessed the relationship of resilience with a wide range of constructs, including social skills, satisfaction with life, occupational stress, attachment styles, social support, etc. Michael Knowles, Ph.D., former president of the International Association of Applied Psychology, devoted his report to the development of psychology. He described the divergent evolution of scientific, applied and professional branches and the implication of this for the unity of the entire discipline. The reporter states that establishment of distinct associations, one providing the interest of academics and the other - the needs of professionals, institutionalize differences within the discipline, weaken the sense of a common identity of psychologists, and confuse the understanding of psychology by the general public. The large international congresses that offer richly diverse scientific programs and convivial social events serve as the principal means for fostering the maintenance and sustenance of the unity of psychological discipline. However, much more needs to be done it at the national and local levels. Ann Marie O’Roark, Ph.D., editor, educator, management and leadership consultant in St. Augustine, FL, justified the leadership model for global well-being, based on the French expression “goût de terroir”, that means “flavor imparted by the environment in which it is produced”. The author states that different countries and nations may follow one type of influencer more than another and suppose that future trends in leadership study are: holistic perspectives, interdisciplinary integration and inclusion of a wider spectrum of scientific methods. Tara Pir, Ph.D., the founder, president and CEO of the Institute for Multicultural Counseling and Education Services (IMCES) in Los Angeles, CA, reported that the Institute was designed to provide culturally and linguistically appropriate services to underserved ethnically diverse communities and to conduct research with the aim of identifying and promoting best practices. The main direction of research. Cross-cultural study of depression aims to identify specific definition of clinical depression within the context of certain cultures as well as indigenous best practices, replicable in a global level. Stigma investigation is focused on cultural specifics of stigma manifestations as a barrier to identifying mental illness, as well as accessing services. The project on including legal aid as a part of treatment plan for ethnically diverse underserved clients with mental health challenges aims at preventing recidivism. Roswith Roth, Ph.D., clinical and health psychology professor and researcher at the University of Graz in Austria, devoted her speech to the problem of women’s human rights violation. She also mentions that violence against women is often complicated by further discrimination on the ground of race, ethnicity, sexual identity, caste, religion, class or age. Main issues commonly associated with notions of women’s rights, such as bodily integrity and autonomy, female genital mutilation, sexual violence, reproductive rights, legal contracts, equal rights and responsibilities in marriage, women’s and girls’ education, women’s right to vote are discussed. The theme of New York City Convention in 2017 was “Psychology’s Contribution to People, the Planet and the World”. Janel Gauthier’s, Ph.D., president of the International Association of Applied Psychology, keynote address was aimed to examine issues and difficulties in integrating references to human rights in code of ethics for psychologists. The different approaches to the interpretation of human rights in ethics codes and the justifications for referring to human rights in codes are analyzed. Also, the ways ethics and human rights differ and complement each other are discussed. The entire address appears in the RUDN Journal of Psychology and Pedagogics (Gauther, 2018a; Gauther, 2018b). Forum “Global and Diverse Leadership Network” was intended to promote mutual exchange and collaboration on research, training and education on issues of global and diverse leadership. It is stated that modern leaders should be culturally competent, able to embrace diversity, be inclusive of cultural differences and world views, to promote social justice. Forum “Endangered People and Children, Human Rights World Summit 2017” was focused on different family disfunctions, amplified by social inequality and on methods of psychological help to such families. How can families who live with exclusion, triangulation and cut-offs live with less pain and more love? Sandra E.S. Neil, Ph.D., registered clinical and individual, group, marital and family psychologist, proposed some solutions for improvement of family functioning. Treatment options to enable open systems, gender equality in parenting, de-triangulation and promoting the “Psychology of Compassion” in the family was discussed. Newest clinical techniques for the new forms of the family were presented in the case studies. Machiko Fukuhara, Ph.D., professor emeritus of Tokiwa University (Japan), spoke about endangered children/youth and the elderly in Japan, whose roles in society are rapidly changing due to many changes in economy, social structure, culture and the environment. She reports that the extended family concept, which has not been familiar in Japan, is becoming popular now. Collaborative systems in communities is likely to offer chances to both age groups to know themselves and to know how to care/respect the others, different from themselves. The main findings of the study are: being endangered affect on people’s self - actualization; causes and effects of endangered are different among individuals; we should see ‘endangered’ multi-culturally from the stand point of Wellness of Human Being. Jason Wynter, Ph.D., chairperson of the Department of Behavioral and Social Sciences at Northern Caribbean University (Jamaica), discussed the issue of substance abuse among adolescent students in Jamaica. The relationship between peer association and perception of harms and benefits associated with marijuana use among adolescents. It was proved that males are more likely to have friends who use marijuana than their female counterpart. Roswith Roth, Ph.D., clinical and health psychology professor and researcher at the University of Graz (Austria), studied ethical decisions among health executives at palliative care units in Austria. Based on the study results the training program for health care provider who accompany humans during their last days of their lives was developed. Ann Marie O’Roark, Ph.D., editor, educator, management and leadership consultant in St. Augustine, FL, in her report suggests that although modern society has developed solutions to reduce psychological risks, other special populations of risk takers are endangered or at risk, that demands new methodological solutions for their survival and well being. Among these populations are refugees, people with life threatening illnesses willing to take newly developed treatments, people in careers such as emergency services, firefighting, militaries are mentioned as an examples. Sofia Sousa, M.B.A., a client experience specialist at DXC Technologies, presented her private experience of learning how to communicate with a partner who has suffered a stroke. Justina E. Aire, Ph.D., professor of psychology in the Department of Humanities and Social Science, School of Arts and Science at St. George’s University (Grenada), discussed the issue of oppositional defiant disorder diagnostics. She supposes that this disorder persists into adulthood, and it is under-diagnosed in adults, especially in several developing countries. She suggests that continuous assessment be carried out up to adulthood to enable awareness of the disorder, which, in turn, will encourage and sustain amicable relationship. Andrew F. Simon, Ph.D., associate professor of psychology at Seton Hall University in New Jersey (USA), made an overview of the social factors shaping the lives of the children in Uganda. As the number of orphans and vulnerable children in Uganda grew in the ensuring years, it became apparent that their needs would not be met without providing support to their primary caretakers - the women of Uganda. Chris M. Mulchay, Ph.D., licensed psychologist at Asheville, focused his talk on the limited assessment the children in USA receive before they are diagnosed and medicated. The main institutional factors are considered to be the school system and insurance reimbursement for medication. The New York City Convention program included not only presentations, but also Pre-conference workshops. K. Mark Sossin, Ph.D., and Alla Sheynkin, Ph.D., at their workshop on body movement behavior introduced the Kestenberg Movement Profile, a quantitative empirical research tool that can be viewed as an ethogrammatic coding system, which stands as a psychologically - informed framework and method for capturing qualities of movement processes that bear meaning. It is applicable from earliest infancy throughout the lifespan. The influence of cultural differences was also considered. Ani Kalayjian presented the 7-Step Healing Model, aims at expanding the healing process into a sustainable holistic mind-body-eco-spirit approach. It is focused on transforming individual, national and international trauma and violence. According to the model, various aspects of trauma, dispute, conflict, disagreements and disaster are assessed, identified, explored, processed, worked through, and released. This process transforms trauma and suffering by offering new meaning or a new lesson learned. Barbara Mowder, Reana Nerwen, Renee Krochek and Florence Rubinson explored parenting from different psychological perspectives. Their workshop was aimed at conceptualizing parenting in terms of personal experience, background and culture. It is considered how parent behavior importance levels at different stages in children’s development, how parenting shifts and changes over the course of a child’s developmental lifespan. The tool for measurement of parenting was introduced - the Parent Behavior Importance Questionnaire (PBIQ-3). Stacy Ogbeide, Psy.D., M.S. states that, according to many studies, integrating behavioral health services into primary care settings can reduce medical costs, improve treatment adherence, improve clinical outcomes and improve patient and provider satisfaction. The presenter made an overview of integrated primary care models, specific approaches for integrated care service implementation, tracking program and process outcomes, and pitfalls that can occur with the implementation. The Part I also includes abstracts of papers, symposium presentations and posters, presented at New York City Convention, 2017. The presentations covered a wide range of issues: cognitive processes, neuropsychology, cognitive, emotional and social development, mental disorders diagnostics and psychotherapy, psychological needs of persons with severe chronic and life threatening diseases and problems of interaction with such persons and caring for them, stress, trauma and PTSD, gender issues, inclusion, social rejection, human rights and women rights, social identity, resilience, well-being and quality of life, environmental psychology, interpersonal and inter-group relations, love, couple and family relationships, industrial and organizational psychology, cultural diversity, methods of cross-cultural study, new methods of psychological care and support. The speakers represented a lot of countries from around the world, in particular, USA, Canada, India, Qatar, Brazil, Japan, Russia, United Arab Emirates, Malaysia, Philippines, Korea, Israel, Philippines, Nigeria, Mexico, New Zeeland, Hong Kong, Spain, Portugal, Italy. The end of this part of the book contains four brief essays of the ICP presidents of different years. Ann M. O’Roark, Ph.D.: A History of 75 Years of ICP: Footprints and Visions. The essay summarizes the long history of creation and development of the Council. Its origins began during the World War Two, in August 1941, at first as the “National Council of Women Psychologists”, uniting the committed women who wanted to contribute actively to the war effort. Today ICP is looking for new ways to participate in advancing the application of the findings of scientific psychology to the needs and challenges in the world of current lifetimes. ICP is an independent professional association dedicated to professional activism in the interest of under-represented, at risk or endangered populations. The first section of the essay addresses chronological organization developments, the second - discusses the Council unique organizational configuration, the final one focuses on governance documents, policies and values that operationalize and delimit the Council. Jean Lau Chin, Ed.D., ICP president in 2018: International Leadership Network: Global and Diverse Leadership Strategies and Networks for Scholarship and Education Exchange. Leadership theories have largely remained silent on issues of equity, diversity and social justice. Most leadership studies have been Eurocentric and male dominant. Prof. Lau Chin developed International Leadership Network as a part of her presidential initiative for the Division of International Psychology (52) of American Psychological Association with the purpose of creating an international network for mutual exchange and collaboration on diverse and global leadership. The intention was to build a critical mass of international scholars to collaborate on research and training in leadership. During 2016 a number of significant events were conducted. The project now has its LinkedIn page (https://www/ linkedin.com/groups/2820671) through the Division 52 webpage to promote communication among network members. A series of Conversational Hours for leaders and on leadership through web conferencing has been started (https://div52.org/iln). Furthermore it is planned to build a Research Exchange Network on Global and Diverse Leadership to collaborate on research of leadership and how social identities, lived experiences, authenticity and cultural and social contexts influence such leadership. Roswith Roth, Ph.D., ICP president in 2000-2001: ICP at the United Nations in Vienna. In 1981 the ICP registered as one of the very first psychology non-governmental organizations (NGO) to work with the United Nations. The UN maintains active NGO centers in three cities: Geneva, Vienna, and New York City. This essay overviews ICP activity in Vienna. UN NGOs in Vienna is very active and remains in close touch with the UN in Geneva and in New York. It disseminates ideas and values of ICP and the UN not only in Austria and Europe, but also world-wide (Takooshian, Shahinian, 2008, etc.). Sandra E. Neil, Ph.D. ICP president in 1998-1999: ICP and Human Rights. From its start in 1941, one of the most recurrent themes of ICP has been human rights. ICP began formally running World Human Rights Summits as part of Scientific Program of each ICP Convention since 1984. At its 2001 Convention “ICP Millennium World Peace Statement” was presented, which emphasized the importance of peace, security and disarmament; eradication of poverty, human rights, sustainable development and the environment; facing the challenge of globalization: achieving equity, justice and diversity; enabling health rights for all people. One of the essay parts consists of important quotes about human rights. The final part of the essay outlines the present and future ICP effort in human rights defense (Zimbardo, 2007). The author states: “So the world has changed in its details, but in terms of the underlying human issues we continue to struggle to be more fully human”. Part II. Resources for International Psychology This part contains seven original essays on how psychologist and students can get more involved in international psychology i.e. in cross-national organizations, research, teaching, practice, technology, online learning and study abroad. The authors are not only famous scientists, but also leaders and representatives of various international psychology organizations. Merry Bullock, Ph.D., officer in the International Union of Psychological Science, sr. director of International Affairs of APA, president-elect of the APA Division of International Psychology, secretary-general of ICP, & Teresa Ober, doctoral student and administration assistant to the main representative of the APA to the UN, explain in detail how individual psychologist and students become more involved in international psychology organizations. The essay contains an overview on: (a) three kinds of international psychology organizations (umbrella, regional, specialty) and their diverse activities; (b) international networks; (c) international organizational consortia; and (d) how individuals can become involved. Readers are provided with useful information and many links for detailed acquaintance with different psychology organizations and networks. In conclusion, the authors describe the steps to involved: “be present, be active and trusted, be persistent, and enjoy the process”. Andrew S. Simon, Ph.D., member of the Board of the ICP, in his essay suggests a guide for those who seeking to undertake their own international research. Presented information allows to highlight key components in cross-national research: (a) getting starting; (b) study designs; (c) obtaining permission; (d) sampling; (e) translations and instrumentation; and to direct readers to resources that provide in-depth discussions. Grant J. Rich, Ph.D., senior editor of Pathfinders of International Psychology (2015), past-editor (2010-2014) of APA Division 52’s International Psychology Bulletin, & Uwe P. Gielen, Ph.D., past President of ICP, APA’s International Psychology Division (52), and the Society of Cross-Cultural Psychology, answer the question: How can we best internationalize our psychological courses? The authors believe that an appropriate starting point is perusal of the volumes on this topics. For example, the series of books co-edited by Sherry McCarthy, entitled Teaching Psychology Around the World (McCarthy et al., 2007, 2009, 2012) or Internationalizing the Teaching of Psychology by Rich, Gielen, and Takooshian (2017) and so on. Other step is utilized MOOCs in internationalizing psychology teaching (Plous, 2017). Also there exist a number of methods to internationalize psychology at faculty level, e.g. utilize more international research and materials, integrate co-curricular activity into program (for instance, Psi Chi, the International Honor Society in Psychology, can help connect students around the globe), etc. The authors conclude that “organizations as ICP continue to play a significant role in international psychology, and it is notable that the organization offers frequent opportunities for students involvement, such a conference presentations, student awards, and publications”. Linda C. Lubranski, MSEd, Coordinator of Global Studies and Director of Academic Engagment at St. Joseph’s College (Pathchgue, NY), advises students how to find a suitable program for study abroad. She tries to help students to identify good experiences, recommends many helpful resources for study abroad students and their faculty advisors, and shows some common errors with ways to avoid its. George Hu, Psy.D., director of Psychology and Mental Health at Jiahui Health, assistant director of the Center for Cognitive Behavioral Therapy (Beijing United Family Hospital), & Randy Walton, Ph.D., a licensed clinical psychologist, member of APA Division 52: International Psychology, offer their answer to the question: How can individual psychologist and students become more involved in mental health practice internationally? This guide provides overview of: (a) common types of international mental health practice (consultations, assessment, psychotherapy/treatment, teaching); (b) some ways to get started; (c) cross-cultural and ethic/legal considerations; (d) examples of evidence-based practice used around the world; (e) opportunities for the psychologist educate themselves regarding the International Classification of Disorders 10th Edition (ICD-10). Kristen Treglia, BA, a senior instructional technologist at Fordham University and the author of The EdTech Bible (2017), & Olivia Bradley-Willemann, MS, academic technology and information administrator for the Department of Psychology at Fordham University, describe the possibilities and benefits of emerging educational technologies for international psychology: teaching, research and other activities. They offer a brief primer of such technologies in six part: (1) platforms (LMS, blogs, micro-blog, MOOCs); 2. tools (social bookmarking, Google drive, editing); (3) digital pedagogy (flipped classrooms, Wikipedia, TED, Mediasite); (4) resources (images, videos, digital identity; 1. productivity (video conferencing, doodle polls, Qualtrics, Survey Monkey; (6) a list of useful webpages. Patrick A. Berzinski (1964-2017), the founder and CEO of Tranquility49 PR, & Goran Trajkovski, the CEO at Algoco eLearning, outline the future of MOOGs and other online teaching platforms for Global online learning. The authors offer a list of the top five tech trends that will shape and impact the delivery of online education in the coming five or so years: (1) personalized instructions, (2) “non standart” Learning Management System (LMS), (3) blurring the line between learning object and learning resources, (4) academic analytics, (5) gamification/simulations. Part 3. Visions of International Psychology Final part of the volume includes vision statements from 31 leaders of international psychology, to answer this timely question: “In your view, what is the optimal role of international psychology organizations to address the emerging challenges of the 21st Century?” Below are listed only the names and main positions of these psychologists and titles of their answers, which briefly reflect their opinions: o Ambassador T. Hamid Al Bayati, Ph.D., author, behavioral scientist, and Permanent Representative of Iraq to the UN (2006-2013): Using Behavioral Research to Combat Global Terrorism; o David B. Baker, Ph.D., the Margaret Clark Morgan executive director of the Cummings Center for the History of Psychology, professor of Psychology at the University of Akron: What the Past Can Tell Us about the Future of International Psychology Organizations; o Maria Consuelo Barreda-Hanson, Ph.D., past-president (2010) and a long-standing ICP board member: A Vision for the Future of ICP; o Michael Harris Bond, Ph.D., past-president of the International Association for Cross-Cultural Psychology, chair professor of Psychology in the Busines Faculty of the Hong Kong University: Will International Psychology Organizations Sound the Tocsin for Our Imperiled Planet? o Yosef Brody, Ph.D., past-president of Psychologist for Social Responsibility, and a member of the Coalition for an Ethical Psychology: Psychology’s Role in Preventing Human Rights Violations; o Merry Bullock, Ph.D., officer in the International Union of Psychological Science, sr. director of International Affairs of APA, president-elect of the APA Division of International Psychology, secretary-general of ICP: Vision of the Future of International Psychology; o Jean Lau Chin, EdD, ABPP, past-president of APA Division 52: International Psychology, and 2018 president of ICP: Vision Ahead for ICP; o Saths Cooper, Ph.D., president of the International Union of Psychological Science and Pan-African Psychological Union, and vice-president of International Social Science Council: Psychology Mast Serve All of Humanity; o Nicholas A. Cummings, Ph.D., ScD, past-president of APA (1979), co-founder of the California Schools of Professional Psychology: The Turbulent History and the Future of the Practice of Psychology; o Jessica Henderson Daniel, Ph.D., ABPP, the president of APA in 2019: A Vision for Global Psychology; o Florence L. Denmark, Ph.D., past-president of APA, ICP and Psi Chi, and Josephine Tan, Ph.D., past-president of Canadian Council of Professional Psychology Programs, the current ICP Awards coordinator and director at large: Our Vision for International Organizations; o Kurt F. Geisinger, Ph.D., director of the Buros Center on Testing at the University of Nebraska, president-elect and treasurer of the International Test Comission, and president-elect of the Assesment and Evaluation Division of the International Association of Applied Psychology: The Impact of International Issues and Organizations in Psychological Testing; o Uwe P. Gielen, Ph.D., past-president of ICP, APA’s International Psychology Division 52, and the Society of Cross-Cultural Psychology: Three Suggestions for International Psychology Associations to Consider; o Milton D. Hakel, Ph.D., founding president of the Alliance of Organizational Psychology, professor emeritus at Bowling Green State University: These Are Tougt Times for us Optimists; o Diane F. Halpern, Ph.D., past-president of APA, dean of Social Sciences, emerita, Minerva School at KGL: International Unions: What They Should Be Doing to Advance Psychology and Improve the World; o David Y.F. Ho, past-president of ICP: Psychology: An Abysmal Science? o Ani Kalayjian, EdD, BC-RN, BCETS, DDL, board certified expert in traumatic Stress: International Organizations Can Transform Trauma into Resilience; o Kenneth D. Keith, Ph.D., past-president of Society for the Teaching of Psychology (2017), professor emeritus of psychological sciences at the University of San Diego: Can We Become a Psychology for All People? o Michael Knowles, Ph.D., past-president of the International Association of Applied Psychology (2006-2010), long-term member of the Joint Cooperation Committee of IAAP and International Union of Psychological Science: What is the Role of International Psychology Organizations in Addressing the Emerging Challenges of the 21 Century? o Ann Marie O’Roark, Ph.D., ABPP, fellow of the APA, Divisions 1, 13, 32, 49, 52 and the Society of Personality Assessment: An Optimal Role for International Psychology Organizations; o J. Bruce Overmier, Ph.D., president of the International Union of Psychological Science and president of three Divisions of the APA: Psychology’s Prospekts for Being a Global Discipline; o Kurt Pawlik, Ph.D., professor emeritus at the University of Hamburg, Germany, past-president of the German Society of Psychology, of the International Union of Psychological Science, and of the international Social Science Council: International Psychology: Opportunity and Challenge; o José M. Peiró, Ph.D., past-president of the International Association of Applied Psychology, director of the University Research Institute of Human Resources Psychology INDOCAL, University of Valencia, Spain: Challenges and Opportunities for Psychology in a “Glocal” World: What Can International Psychology Organizations Contribute? o Antonio E. Puente, Ph.D., past-president of APA (2017), professor of Psychology at the University of North Carolina Wilmington: Tree Proposal for a New Psychology; Martin E. P. Seligman, Ph.D., past-president of the APA (1998), University of Pennsylvania: International Positive Psychology and Positive Education; o Robert J. Sternberg, Ph.D., past-president of the APA and Federation of Associations in Behavioral and Brain Sciences: What Can Psychological Science Contribute in the 21st Century? o Chris E. Stout, PsyD, MSW, founding director of the Center for Global Initiatives, VP of Research and Data Analytics at ATI Holdings, LLC, and at the University of Illinois at Chicago: International Psychology’s Critical Roles in Global Change and Benefit; Harold Takooshian, Ph.D., past officer and president of Psi Chi (1993-2000), and past-president of the International Division of the APA (2003): How Can Psychological Scientist Best Partner with Policy-Makers? o Fons J.R. van de Vijver, Ph.D., past-president of the International Association for Cross-Cultural Psychology, professor of Cross-Cultural Psychology at the Tilburg University (the Netherlands), the North-West University (South Africa) and the University of Queensland (Australia): On the Role of International Associations in Cross-Cultural Communications; -Randall P. White, Ph.D., head of leadership at HEC Paris, president of APA Division 13: Good Social Science Facilitates Good Social Policy. The editors and authors of the book hope that it contains useful information for anyone interested in the possibilities of global psychological science, practice, consulting, advocacy. 6 Miklukho-Maklaya St., Moscow, 117198, Russian Federation	Ph.D. in Psychology, Associate Professor, Associate Professor of the Social and Differential Psychology Department of Peoples’ Friendship University of Russia (Moscow, Russia). 29 Sretenka St., Moscow, 127051, Russian Federation; 20 Myasnitskaya St., Moscow, 101000, Russian Federation	Ph.D. in Psychology, Associate Professor, Associate Professor of the Department of Child and Family Psychotherapy of Moscow State University of Psychology and Education and the Department of Psychology of National Research University “Higher School of Economics” (Moscow, Russia). Congress, E.P. (2018). Calling All International Psychologists! The International Psychologists, 58(3), section B, 15-17. Gauthier, J. (2018a). References to Human Rights in Codes of Ethics for Psychologists: Critical Issues and Recommendations. Part 1. 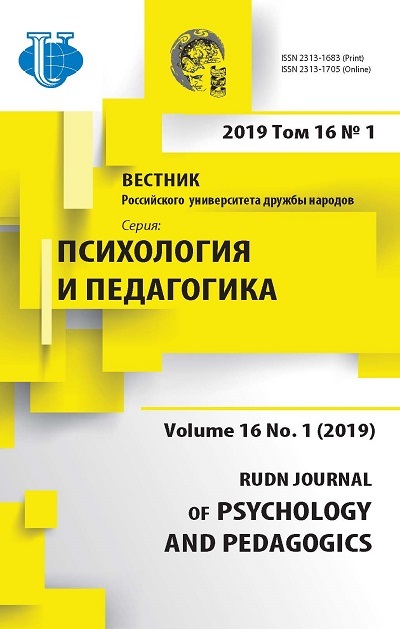 RUDN Journal of Psychology and Pedagogics, 15(1), 7-21. doi: 10.22363/2313-1683-2018-15-1-7-21. Gauthier, J. (2018). References to Human Rights in Codes of Ethics for Psychologists: Critical Issues and Recommendations. Part II. 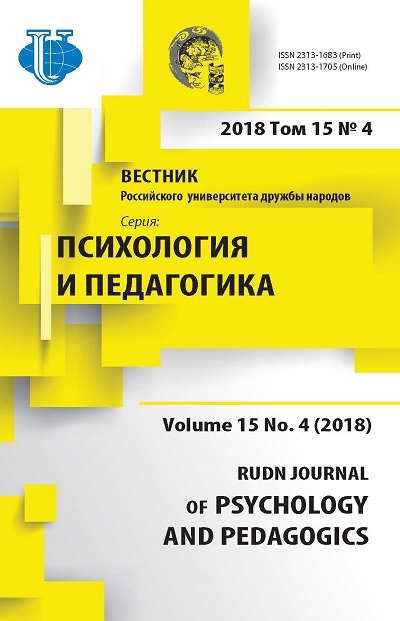 RUDN Journal of Psychology and Pedagogics, 15(2), 131-146. doi: 10.22363/2313-1683-2018-15-2-131-146. McCarthy, S., Cranney, J., Dickson, K.L., Trapp, A., & Karandashev, V. (Eds.). (2012). Teaching Psychology Around the World: Vol. 3. Newcastle upon Tune, UK: Cambrige Scholars Publishing. McCarthy, S., Karandashev, V., Stevens, M., Tratcher, A., Jaafar, J., Moore, K., Trapp, A., & Brewer, C. (Eds.). (2019). Teaching Psychology Around the World: Vol. 2. Newcastle upon Tune, UK: Cambrige Scholars Publishing. McCarthy, S., Newstead, S., Karandashev, V., Prandini, C., Hutz, C., & Gomes, W. (Eds.). (2017). Teaching Psychology Around the World: Vol. 1. Newcastle upon Tune, UK: Cambrige Scholars Publishing. Plous, S. (2017). Internationalizing Psychology througt massive open online courses. In Rich, G., Gielen, U., & Takooshian, H. (Eds.). Internationalizing the Teaching of Psychology (pp. 91-102). Charlotte, NC: IAP - Information Age Publishing. Rich, G.J., & Gielen, U. (Eds.). (2015). Pathfinders of International Psychology. Charlotte, NC: IAP - Information Age Publishing. Copyright (c) 2018 Novikova I.A., Chebotareva E.Y., Novikov A.L.